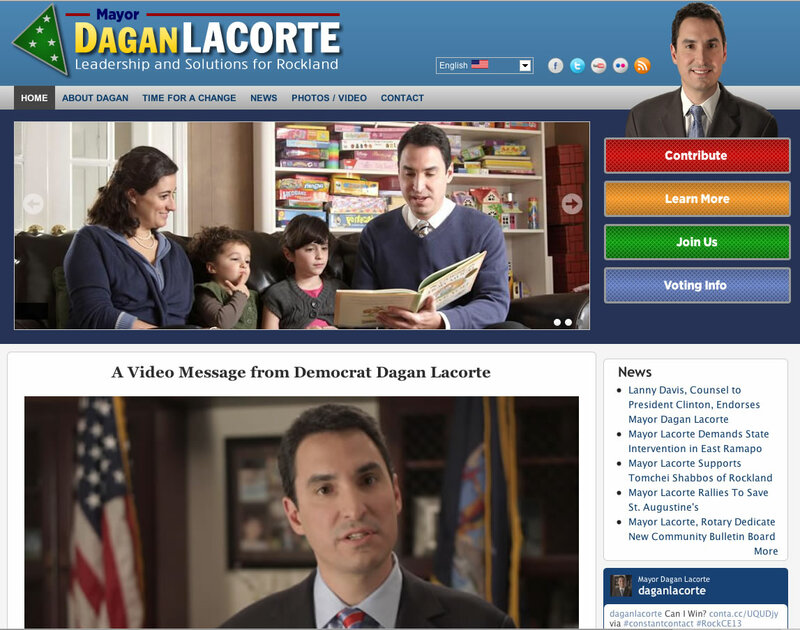 When Mayor Dagan LaCorte of Suffern NY announced his candidacy for Rockland County Executive in November, 2012, he wanted to do it the right way - with not only a top-notch website, but with an introductory video as well. InterCreative managed to pull it all off, under incredible time pressure and despite numerous obstacles caused by Hurricane Sandy and its aftermath. In his first campaign filing of January 2013, Mayor LaCorte raised over $385,000 - exceeding the amounts of all of his primary opponents - combined. We're very happy to have played our part in the successful launch of his campaign for Rockland County Executive and look forward to success for him in November, and beyond.